TUTA/ What can you do? LEFT: Simple Business Cards are an inexpensive and easy way to spread word about what you are doing. Here is an example with contact info on one side and basic information on the other. A letter to the editor is a great way to inform your community about what you are doing. Write an LTE to respond publicly to current events, local and national. Try to connect the issue to what's going on in your area. TUTA members have had several letters published. If you don't succeed the first time, keep trying. 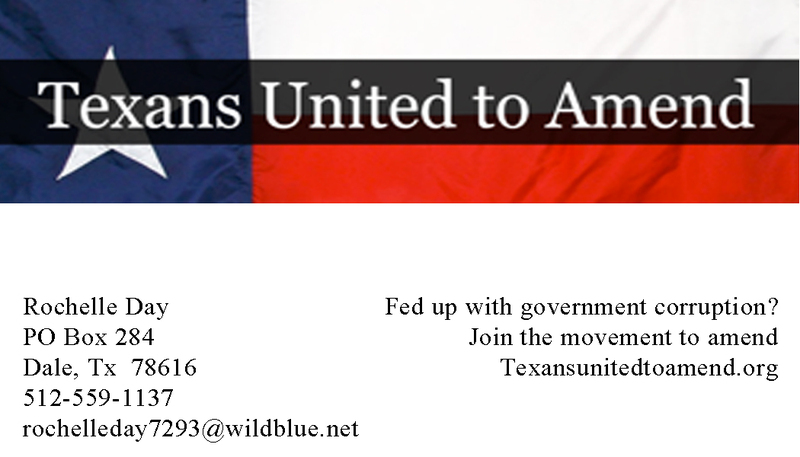 When yours is published send a link to the online article to: info@texansunitedtoamend.org. We want to share it. If there is a college or university in your area, consider tabling at campus activities to inform students. There may be opportunities for speaking engagements through political science or government courses. 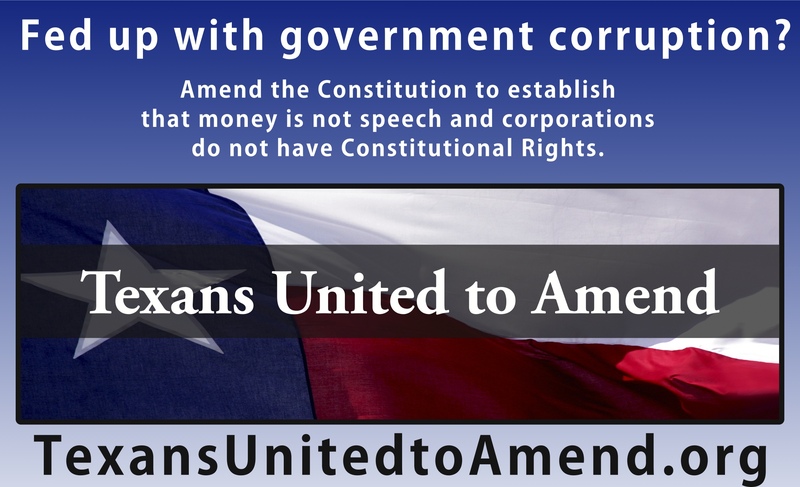 The System Isn't Broken, It's Fixed: Ending Big Money and Corporations in Our Elections by Greg Coleridge. The following 4 1/2 min. audio file explains the difference between legal rights, powers, and privileges, who possesses them, and which can be modified and by whom. 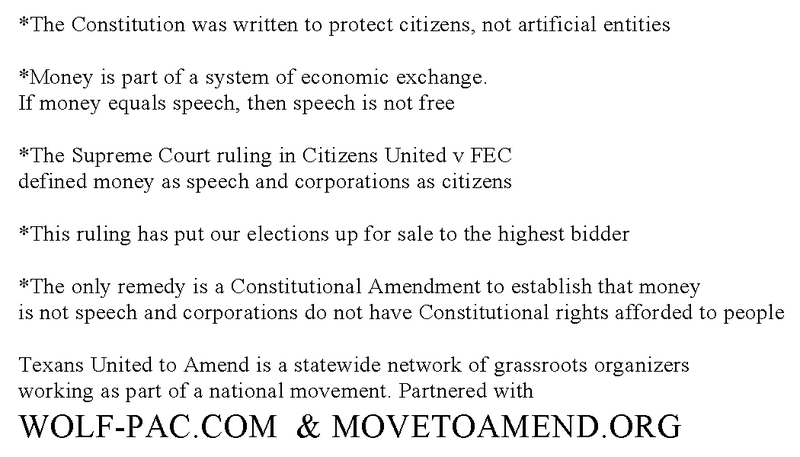 Curtesy of VictorMTA of The Amendment Gazette. Find out who represents you. 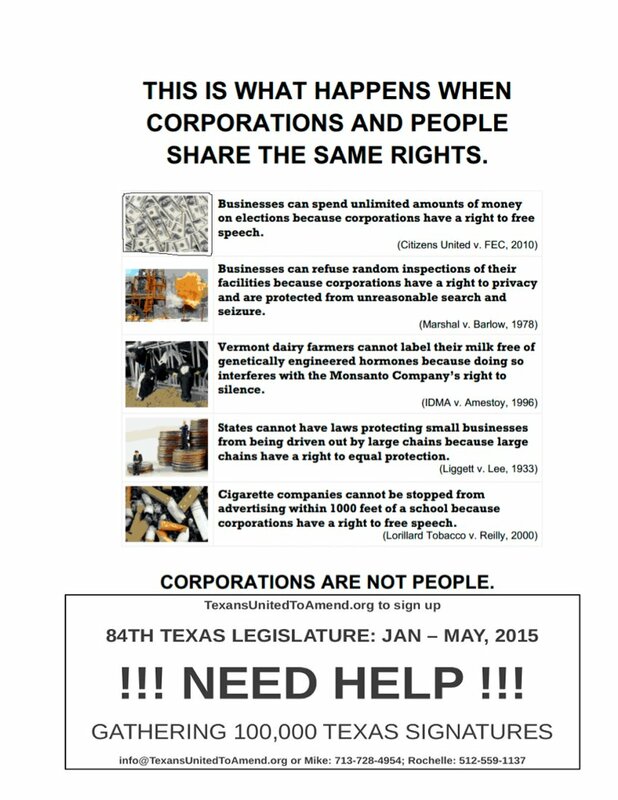 Let them know how you feel about the issue of Money as Speech and Corporate Personhood rights.